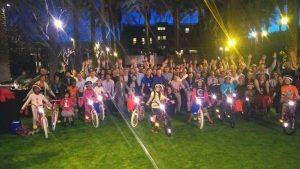 Belden, Inc. uses a Build-A-Bike ® team building event to kick off annual conference in Phoenix, Arizona! Belden Inc. is a company that manufactures connectivity and cable products. 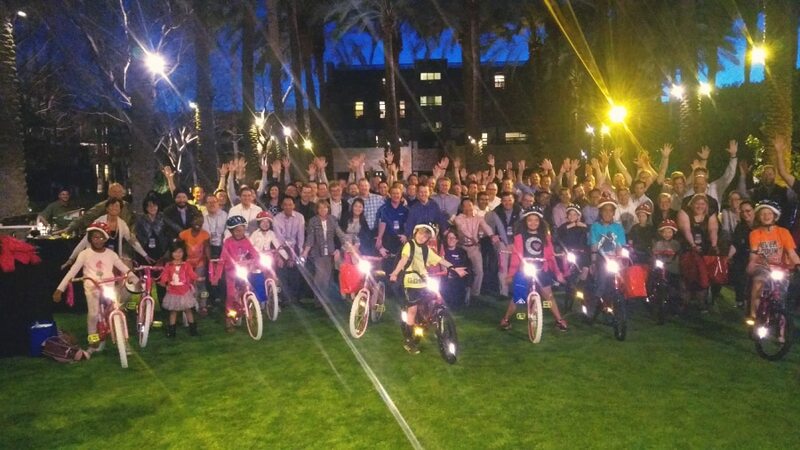 They wanted to start their annual meeting in Phoenix, AZ on a positive note, so they concluded their first day with Build-A-Bike®. After a busy day of meetings, the group was happy to be outside at a remarkable location in Scottsdale. They were a little quiet at first, but once they realized the objectives of the exercise were to build bikes and have fun, they were very enthusiastic participants. After a warm-up activity that gets the energy level up and provides a tool for improving your memory, the group broke off into their teams of about 5 people each. Each group had to work together to solve clues. Once they got a correct answer to a clue, they were given a bike part. They soon realized that they would have to exchange bike parts with the other groups in order to build their bikes. Since the team building principles are built into the exercise, they experience first hand that they have to work together to accomplish their goal, as opposed to being told they will have to work together. The group was thrilled to see the kids come in at the end of the event to receive the bikes. Los Angeles based instructor Chris McNeany coordinated the event with Belden and worked with the YMCA to receive the bikes. 7500 E Doubletree Ranch Rd. Want us to kick off an annual conference for your group? Call us toll-free at (800) 872-7830 for details!